In a far northern country with very short winter days, Danes do what they can to overcome the darkness of winter with light and warmth. In Denmark the connection between Christmas and winter solstice seems especially strong. More visibly, but also more commercially, streets and shops are decorated with lights and candles in the weeks leading up to Christmas. Catholics and many other Christians anticipate Christmas with advent wreaths at church and at home. For believers and non-believers alike the norms for celebrating Christmas are highly scripted as strong markers of Danish cultural identity. 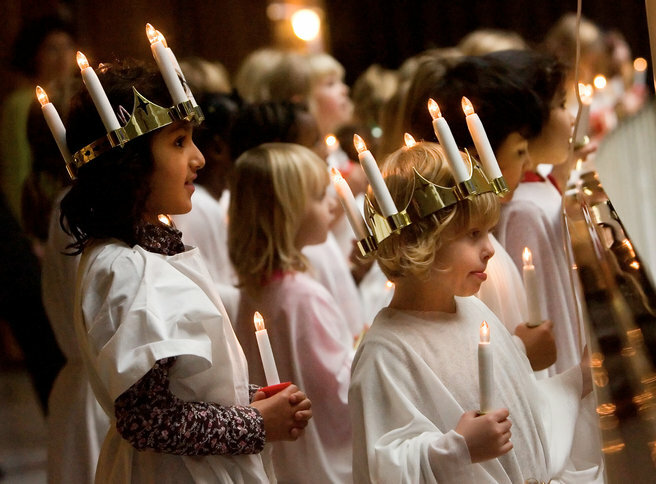 Interviewees indicated that most Danes do know that Christmas, in contrast to solstice, celebrates the birth of Jesus. In secular Denmark, though, it has taken on a much larger, more secular context that is not wholly about commercialism. Christmas Day and the day after are public holidays, but Christmas Eve is a highlight of the celebration. Shops are closed that day, houses are decorated with fir branches, candles or electric white lights, and a Christmas tree is decorated. Catholic Masses and Protestant church services are held mostly during the day of Christmas Eve, and attendance is said to be by far the highest of the year. The big meal is held that night. Most people describe the meals as very traditional and very Danish. Roast pork, duck or goose are the center of the traditional meal, along with potatoes in brown sugar, roast cabbage and gravy. An almond or cherry porridge finishes off the celebration, often with a whole almond hidden inside for one lucky family member to find. An evening dance around Christmas tree is an especially popular Christmas tradition before gifts are opened. Gifts may be delivered to children by someone dressed as Father Christmas. Family events continue in the next two days, which are national holidays, but the primary events are on Christmas Eve. 1. 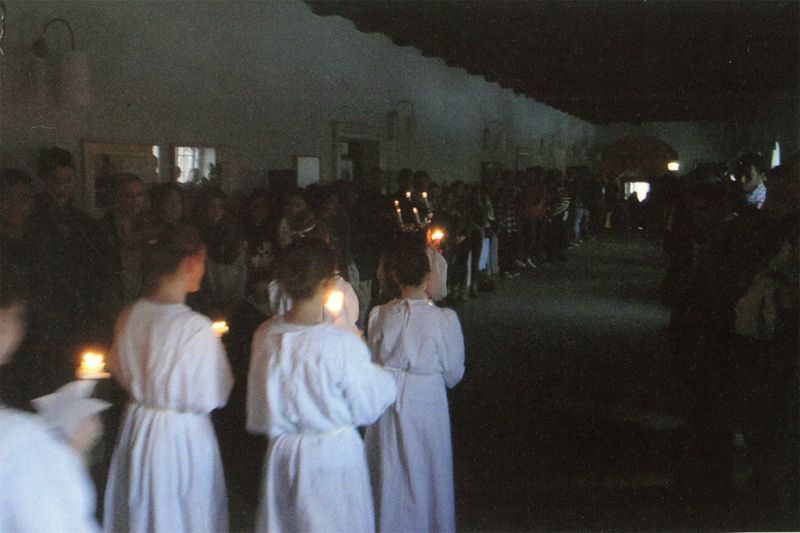 The feast has ancient roots in Denmark, but was imported to Denmark churches in 1944 as an act of light and hope during Nazi occupation.